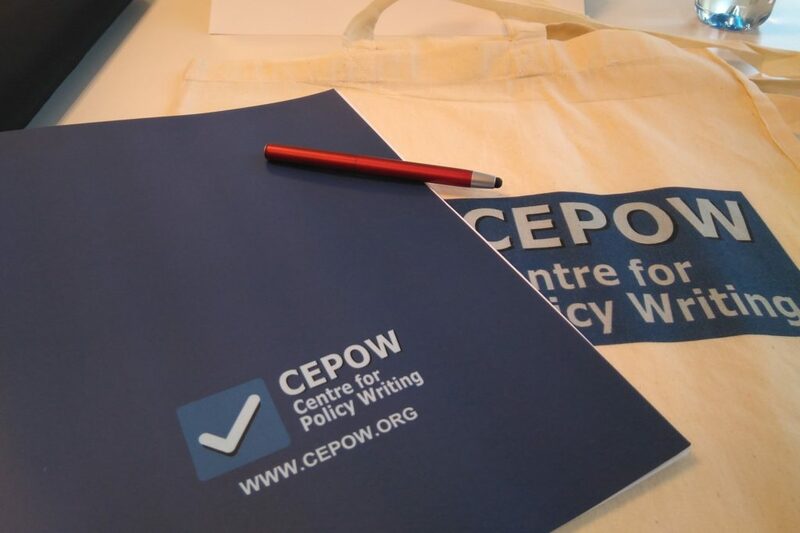 Centre for Policy Writing (CEPOW) is a Madrid-based international institute that offers professional training in policy writing. We organize training seminars on how to write policy-oriented documents and offer professional consulting services for policy writing. Some of our clients are listed on this page. CEPOW’s team consists of a group of experts in policy writing. We also strive to cooperate with leading policy professionals, editors and journalists. By bringing together experts of different backgrounds we add diversity and additional quality to our key objective – to teach you how to better structure and write your policy documents. We founded CEPOW with hope of advancing the way institutions, organizations and individuals communicate policy problems, goals, and means to solve public issues. CEPOW offers unique expertise in how to advocate for policy change. It strives to do so by providing knowledge in writing policy documents. We believe that effective, knowledge-based and fact-based writing can and should have an influence on policy making, even in the era of “fake news”. This is exactly why we reach out to people who may gain from policy writing skills the most: policy institutes, journalists, think tanks, non-governmental organizations and academia, but also independent researchers/analysts and policy experts. Values and opinions on policies should go together with scientific evidence. On the one hand, every policy rests upon a set of value-based choices. The logic of intervention in every public policy should be guided by principled values which the policy aims to defend. On the other hand, science and facts are also crucial because they give the policy maker the tools to track the achievement of objectives, and the public to hold the policy-maker accountable. Our starting assumption is that the two sides do not stand opposed. This commitment to evidence- and value-based policy drives us as an organization.